Published by Valentine-Black Co., Ltd. Printed in Great Britain. 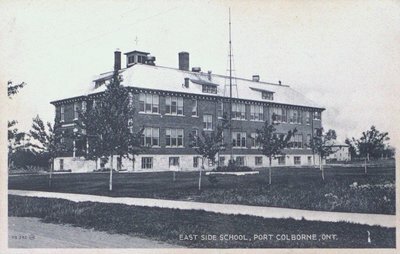 The school was built in 1912 on the east side of the Welland Canal in Port Colborne. The school was renamed the Dewitt Carter Public School in 1950 in honour of the first mayor of Port Colborne, Mr. Dewitt Carter.